More and more nonprofits are hiring IT professionals. While the nonprofit sector may not be the first place you’d think of for IT jobs, there are plenty of benefits to working with these organizations. IT recruiters fill jobs like this with benefits that include a more comprehensive health insurance package, increased vacation and PTO time, and flexible hours or work from home policies. If your IT staffing agencies offer you an opportunity to interview for nonprofit roles, here is one important tip to consider: remember to emphasize your connection with their mission. While technical recruiters will always want you to show enthusiasm for the mission of a company—nonprofit or for profit—it’s especially imperative for nonprofits. These organizations are mission-driven. Thus they are counting on IT recruiting companies to help them hire people who are not only able to do the job, but also care deeply about its goals and values. How do you make sure you convey this? Consider this the second part of your interview preparations (in addition to your usual interview preparation and practice). 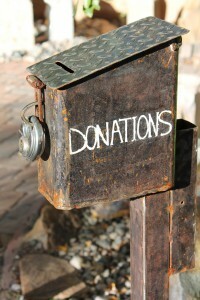 Ask your IT recruiting firms for as much information about the nonprofits mission as they have. Google their website and research it extensively. Become well-informed enough on the work they do that you can easily talk about it with your interviewer. Next, try to think about your personal connection to this work. If you’ve volunteered for similar organizations or have some other connection, this is something to bring up in your interview. Don’t reach for answers here or make something up. Neither will impress hiring managers. Lastly, pull all of this work together and practice talking about why you’d want to work for this organization. Focus on being sincere and well-informed. You don’t want to give a completely rehearsed monologue, but you’ll increase your odds of success if you can genuinely speak to an interest and familiarity with the organization. Take these steps, and your IT staffing companies will be more likely to tell you that you got the job! Speaking to a nonprofit’s mission is just as important as proving your competency. Photo credit: AmberAvalona via Pixabay. This entry was posted on Thursday, March 10th, 2016 at 10:23 am and is filed under Who is AVID? . You can follow any responses to this entry through the RSS 2.0 feed. Responses are currently closed, but you can trackback from your own site.